Best Place To Chill in Eureka Springs: Sparky's Roadhouse Cafe. I have been holding out on you for a long, long time. And I’ll tell you why. 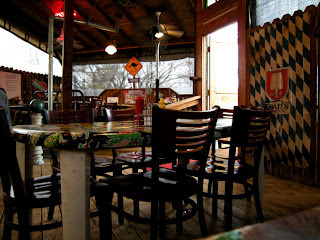 I like going to Sparky’s Roadhouse Café anytime I am in Eureka Springs -- and once I give it an official review, then I don’t have a reason to go again, right? Of course, I still will. Sparky’s is a nice, comfortable casual place that always feeds me well. And the burger? Make that burgers… are always good. And so’s the cheese dip. But that’s not all the goodness served up at the popular red and white and black dive on the main drag (Highway 62, for non-locals). There are fine dishes and common dishes and truffles, too. And the place is always open -- even when it snows. 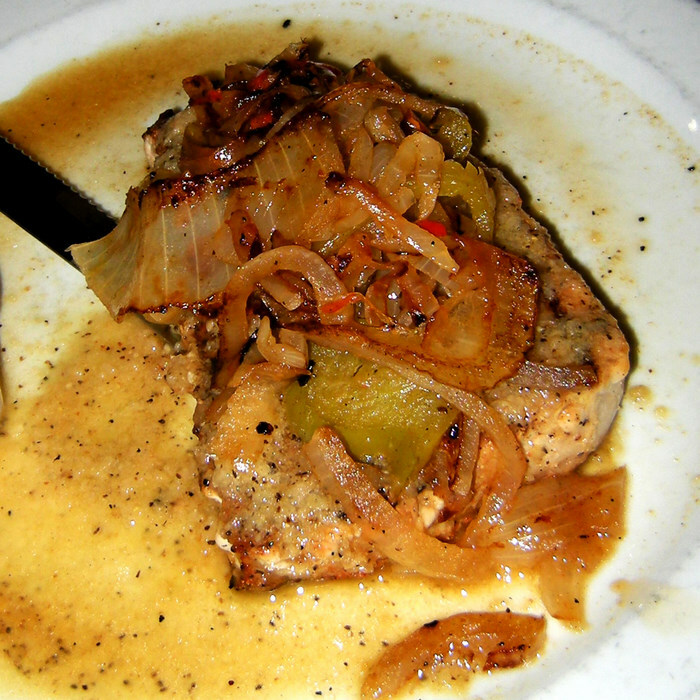 It was recommended to me by Edwige Denyszyn over at Keel’s Creek some great time back… which was funny, since I had expected asking the great French winemaker where to go eat that a more expensive locale would be recommended. Not at all. She told me I had to try the cheese. And I have, so many times over. Last summer I went over to Sparky’s for lunch with the hubster. We wanted something light to deal with the heat, so he chose the Miami Tuna Dinner ($12.95) and I went for the $6 Lunch Enchilada special. His tuna was a beautiful pink thing under a canopy of peppers and onions and spices that went awesomely well with his rather large dinner salad. Yay. Still, I got the much better deal with the special. The lunch special is one enchilada and two sides… yet the portions were large. The enchilada was about double the size I expected, filled with tender shredded chicken and a creamy sauce. There was a whole pile of black beans, and the fries (my other side) came out in a full size basket. 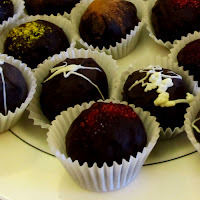 I went by myself while covering the Chocolate Lover’s Festival in 2010. 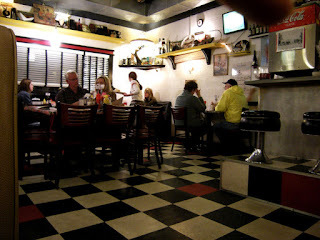 It was a blustery cold winter night and snow was on the ground, but I knew I’d find my warm solace inside at Sparky’s. I was right, of course. 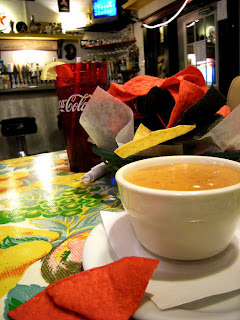 I found that solace in a bowl of the restaurant’s Queso Rojo (at the time both Queso Rojo and Queso Verde were sold, the latter later being taken off the menu), served up with a basket of tricolor chips. 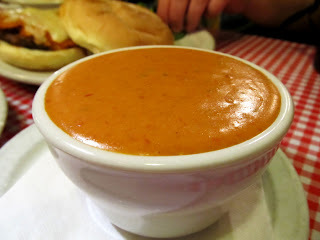 The only red cheese dip I know of, it’s actually more of a yellow but with a nice color from paprika, cayenne and cumin. This… this is my favorite cheese dip in the world, better than anything I have ever found in Little Rock. I had my cheese dip and chips served up on the side with my Rockin‘s Deluxe Cheeseburger ($7.95). What makes it rockin’? The cheese -- your choice of pepper jack, imported swiss or New York State Sharp Cheddar, the latter of which I chose. SHARP Cheddar. Ah, wow. Good sharp cheddar served melted atop a prime Creekstone Beef half pound hand patted patty grilled to medium. Yes, the cheese was slightly overpowering. That’s fine. It’s so dang good. It like all the burgers at Sparky’s was served up on a soft Kaiser roll with green leaf lettuce, pickles, tomato and white onion ringlets on the side, along with a pile of potato chips. 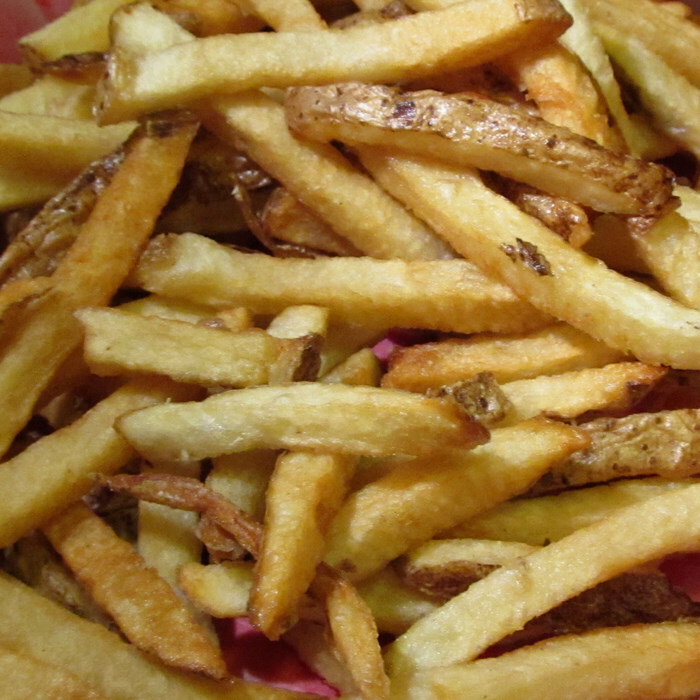 You can upgrade to French fries for a buck more, by the way. I even had a Chambord truffle, which was fabulous. At $2 you might wonder how the place is able to sell these tiny chocolates, but they are very, very good. Well, this past January I was back in town to work on a story… and it was snowing. There was more than a foot of snow on the ground, and Sparky’s Roadhouse was the only place anywhere still open at 7 p.m. on a Friday night. And it was packed. There was little space to do much of anything for that 20 minute wait, but the staff was still happy and friendly and joking about the “immobilizing” storm and all the people who’d come out of the woodwork to come out to the restaurant. That was something. My dining companion and I were seated at a booth in the corner of the main dining area and were almost overcome by the voices -- so many people crowded into the restaurant, communing. 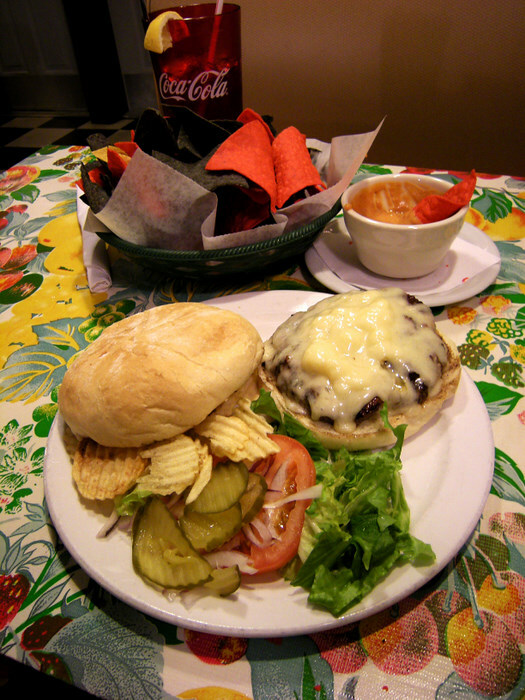 Still, we were able to place an order for a Havana Heat Wave Burger ($8.95), a Barbara’s Reuben ($8.50) and a basket of fries between us (our side item on both, which came out to $1 more each). We also ordered that cheese dip again, since I wanted someone else to taste it. 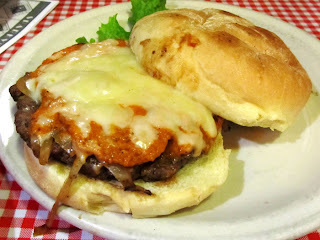 nice and grilled soft, the habanero and red pepper salsa was smooth and the burger was its usual half pound of greatness. 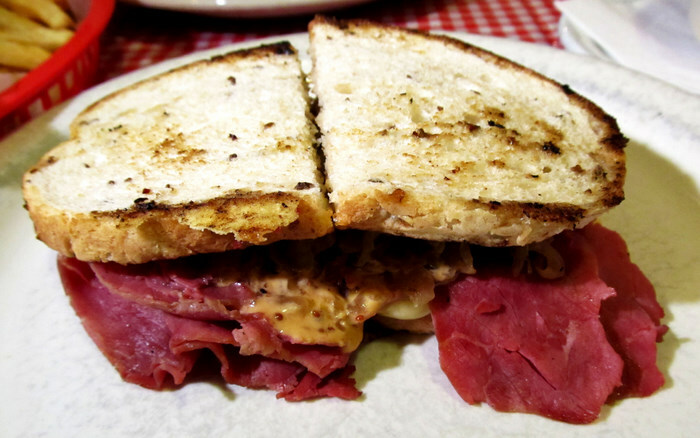 But that Reuben… oh my. Instead of the traditional corned beef-Russian dressing-sauerkraut, it had been tampered with. 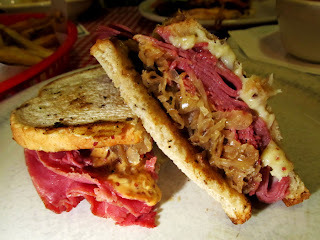 The corned beef was there and fresh on the nice fresh and toasted rye bread. The sauerkraut had been grilled and had achieved a nice caramelization. The whole thing, though, was tagged together not with Russian dressing but with Remoulade sauce, a different take on it all. And of course my skin-on fries went right in the dip, that great red cheese dip that’s now stood the test of time and will hopefully always be available at Sparky’s. Does this mean I’m done eating there? Nah. 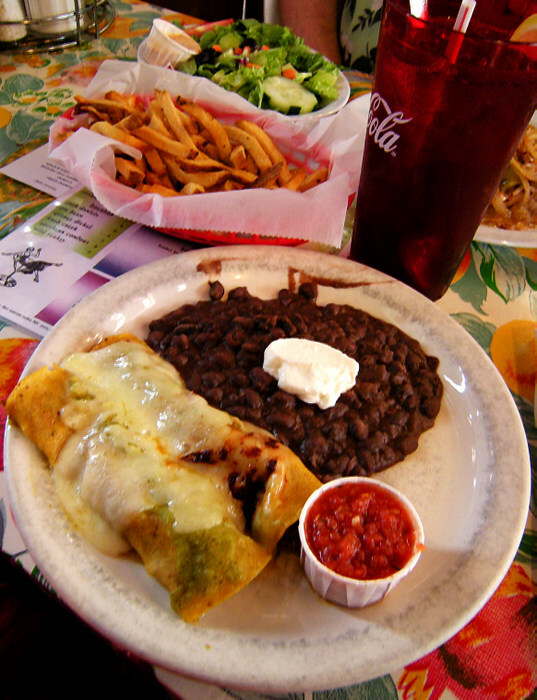 While I always choose to sample as many of the great culinary offerings as Eureka Springs will throw at me on each visit, I still have a soft spot for Sparky’s and things I want to try on the menu -- like the Chicken and Goat Cheese Quesadilla. I still haven’t gotten around to Edwige’s suggestion for the cheese platter, so that might eventually happen. One way or another, you should consider this an endorsement. Sure, when you’re vacationing go do the frou frou and the unusual. And when you’re done with that and want some real food, stop in to Sparky’s Roadhouse Café. You’ll find Sparky’s Roadhouse Café on Highway 62 east of downtown. It’s open Tuesday through Thursday 11 a.m. to 8 p.m. and an hour later on Friday and Saturday, closed Sunday and Monday. Call (479) 253-6001 or check out the website. One more tip. Go use the restroom. 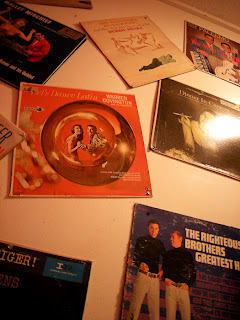 For some strange reason, the folks that run Sparky's thought it'd be a great idea to decorate the women's restroom in less-than-classic album covers. Wow, man. Albums such as Banjo Spectacular! String along with the Banjo Barons! Like the All Star Color TV Revue. Vinyl-known little-spinners such as the Jimmy Peace Singers' He Rescued Me. Music for Listening and Dancing. The Julie Andrews Christmas album. Caribbean Holiday by the, I kid you not, Gay Desperados Steel Orchestra. The Four Prep's less-than-popular Dances and Dreaming. Phil and Louis Palermo's We Want To Sing. Finally, children, we now know where bad LPs go to die.